This solid tower trophy has the best of everything. Available in 3 sizes it is great for place giving and it is a great eye catcher! 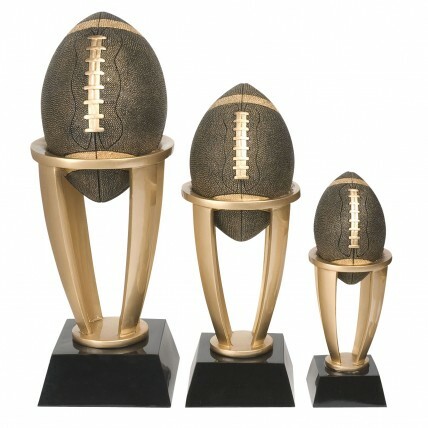 Our Resin Tower Football Trophy features a textured football on a golden riser. Made of solid resin, this well-built award is a winner for your fantasy team and will stand the test of time! 3 lines of personalized engraving are included in the price so these super trophies perfect for your awesome team!